HTC Windows Phone 8S is newest product from HTC which comes in vividly brilliant colours that just pop on the super-sleek minimalist design. A 5MP auto-flash camera captures stunning detail that jumps off the crystal-clear 4" display. 720p video playback is a breeze with the 1GHz Dual Core processor that zips you through your media files with ease while your ears are treated to pulse-pounding bass, crisper vocals and dynamic high notes. Great studio quality sound delivered on the HTC Windows Phone 8S that has in-built Beats Audio. 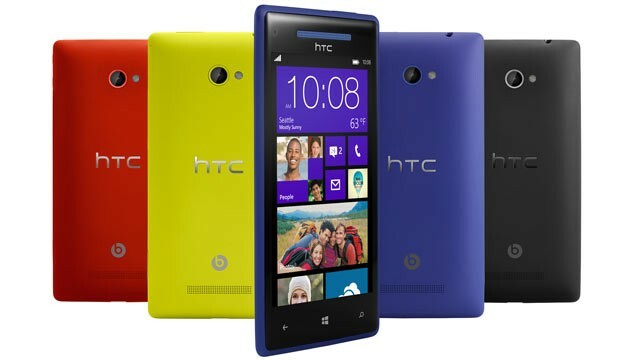 HTC Windows Phone 8S stands apart with its eye-catching, bright, playful original look and its bold color accent that looks as if it's been dipped in a paint pot. Learn more HTC Windows Phone 8S with download HTC Windows Phone 8S user manual in below and fun life with your HTC Windows Phone 8S. Hopefully useful to user HTC Windows Phone 8S.